They face towards the dark, and then the seven points of light within themselves transmit the outward streaming light, and lo! the faces of those upon the darkened way receive that light. For them the way is not so dark. Behind the warriors – twixt the light and the dark – blazes the light of Hierarchy. I accept the responsibility of discipleship, which my soul has placed upon me. Having pervaded this world of the little manifested self with one fraction of myself I remain, greater, wider, overshadowing all my daily life and overshadowing this entire incarnation. I, the manifesting Self, through the magical power of my nature, now reabsorb this fraction of myself dwelling in the body. HIGHER INTERLUDE. (As a group, polarize on the buddhic plane or higher, if possible.) Hold the contemplative mind open to the extra-planetary energies streaming into Shamballa and radiating through Hierarchy. 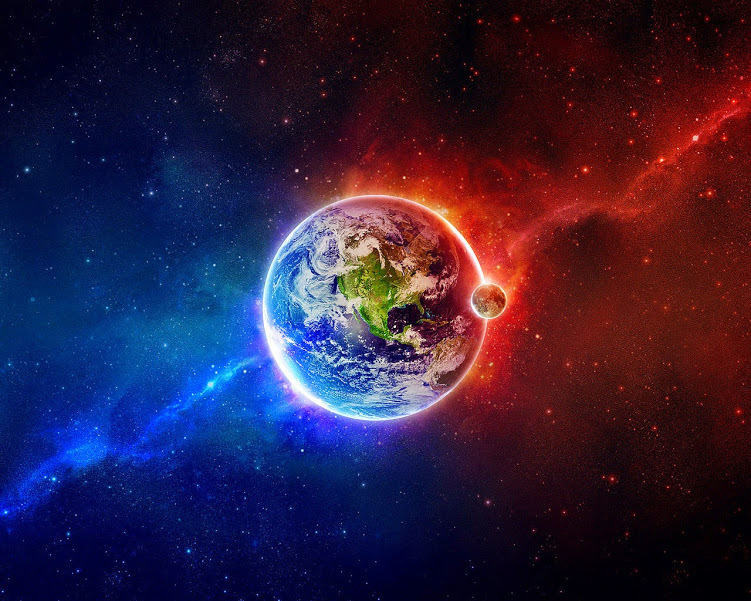 Using the creative imagination, endeavour to see the three planetary centres — Shamballa, Hierarchy, and Humanity — coming into a powerful alignment and interplay. PISCES: I leave the Father’s home and turning back, I save. Visualise the downpouring spiritual inflow released from Shamballa through the Hierarchy and streaming into humanity through the prepared channel. Consider how these inpouring energies are establishing the “Pathway of Light” for the externalization of the Hierarchy and the coming World Teacher, the Great Avatar for the new age. — Geneva/London/New York/Tokyo/Darjeeling — and carrying “life more abundant” to all regions of planetary life. As leaders of a new society, we are now challenged with the task of building healing, inspiring and inclusive structures that reflect our new way of being. 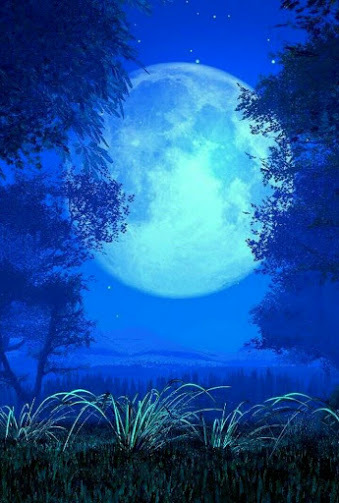 July 31, 2015 is a blue moon.The second full moon for the month, the first one was on July 2 and the second one, which is called the Blue moon will be on July 31, 2015. The phrase has nothing to do with the actual color of the moon, although a literal “blue moon” (the moon appearing with a tinge of blue) may occur in certain atmospheric conditions; e.g., when there are volcanic eruptions or when exceptionally large fires leave particles in the atmosphere. This phenomenon is specific to calendars. Lunar calendars like the Indian national calendar always have one full moon a month. 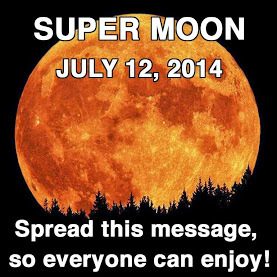 The term has traditionally referred to an ‘extra’ moon, where a year which normally has 12 moons has 13 instead. The ‘blue moon’ reference is applied to the 3rd moon in a season with 4 moons, thus correcting the timing of the last month of a season that would have otherwise been expected too early. This happens every two to three years (seven times in the Metonic cycle of 19 years). The March 1946 issue of Sky & Telescope misinterpreted the traditional definition, which led to the modern colloquial misunderstanding that a blue moon is a second full moon in a single solar calendar month with no seasonal link. One lunation (an average lunar cycle) is 29.53 days. There are about 365.24 days in a tropical year. Therefore, about 12.37 lunations (365.24 days divided by 29.53 days) occur in a tropical year. In the widely used Gregorian calendar, there are 12 months (the word month is derived from moon) in a year, and normally there is one full moon each month. Each calendar year contains roughly 11 days more than the number of days in 12 lunar cycles. The extra days accumulate, so every two or three years (7 times in the 19-year Metonic cycle), there is an extra full moon. The extra moon necessarily falls in one of the four seasons, giving that season four full moons instead of the usual three, and, hence, a blue moon. The suggestion has been made that the term “blue moon” for “intercalary month” arose by folk etymology, the “blue” replacing the no-longer-understood belewe, ‘to betray’. The original meaning would then have been “betrayer moon”, referring to a full moon that would “normally” (in years without an intercalary month) be the full moon of spring, while in an intercalary year, it was “traitorous” in the sense that people would have had to continue fasting for another month in accordance with the season of Lent. It is not clear from the context that this refers to intercalation; the context of the passage is a dialogue between two priest’s servants, spoken by the character “Jeffrey” (a brefe dialoge betwene two preste’s servauntis, named Watkyn and Ieffraye). The intention may simply be that Jeffrey makes an absurd statement, “the moon is blue”, to make the point that priests require laymen to believe in statements even if they are patently false. But in the above interpretation of “betrayer moon”, Jeffrey may also be saying that it is up to the priests to say when Lent will be delayed, by announcing “blue moons” which laymen have no means to verify. The most literal meaning of blue moon is when the moon (not necessarily a full moon) appears to a casual observer to be unusually bluish, which is a rare event. The effect can be caused by smoke or dust particles in the atmosphere, as has happened after forest fires in Sweden and Canada in 1950 and 1951, and after the eruption of Krakatoa in 1883, which caused the moon to appear blue for nearly two years. Other less potent volcanoes have also turned the moon blue. People saw blue moons in 1983 after the eruption of the El Chichón volcano in Mexico, and there are reports of blue moons caused by Mount St. Helens in 1980 and Mount Pinatubo in 1991.In the Antarctic diary of Robert Falcon Scott for July 11, 1911 his entry says, “…the air thick with snow, and the moon a vague blue.” On that date the moon phase would have looked full. On September 23, 1950, several muskeg fires that had been smoldering for several years in Alberta, Canada, suddenly blew up into major—and very smoky—fires. Winds carried the smoke eastward and southward with unusual speed, and the conditions of the fire produced large quantities of oily droplets of just the right size (about 1 micrometre in diameter) to scatter red and yellow light. Wherever the smoke cleared enough so that the sun was visible, it was lavender or blue. Ontario, Canada, and much of the east coast of the United States were affected by the following day, and two days later, observers in Britain reported an indigo sun in smoke-dimmed skies, followed by an equally blue moon that evening. The key to a blue moon is having lots of particles slightly wider than the wavelength of red light (0.7 micrometer)—and no other sizes present. It is rare, but volcanoes sometimes produce such clouds, as do forest fires. Ash and dust clouds thrown into the atmosphere by fires and storms usually contain a mixture of particles with a wide range of sizes, with most smaller than 1 micrometer, and they tend to scatter blue light. This kind of cloud makes the moon turn red; thus red moons are far more common than blue moons. The inner feelings of disturbance, the tiredness and the inner questioning of your path and purpose are a reflection of the strength of this full moon, blood moon, eclipse, accompanied by the present galactic shift to higher frequencies that we are collectively experiencing, all ideas, movements, and philosophies are intensified. With these highly tuned frequencies of the planetary alignment that are accessible to all, you can accomplish incredibly powerful and beautiful things by moving without fear or doubt toward positivity. We have been waiting for a moment such as this and it has arrived, just in the nick of time, to be used by us to achieve momentous goals as we join with one another in community for the greater planetary good. 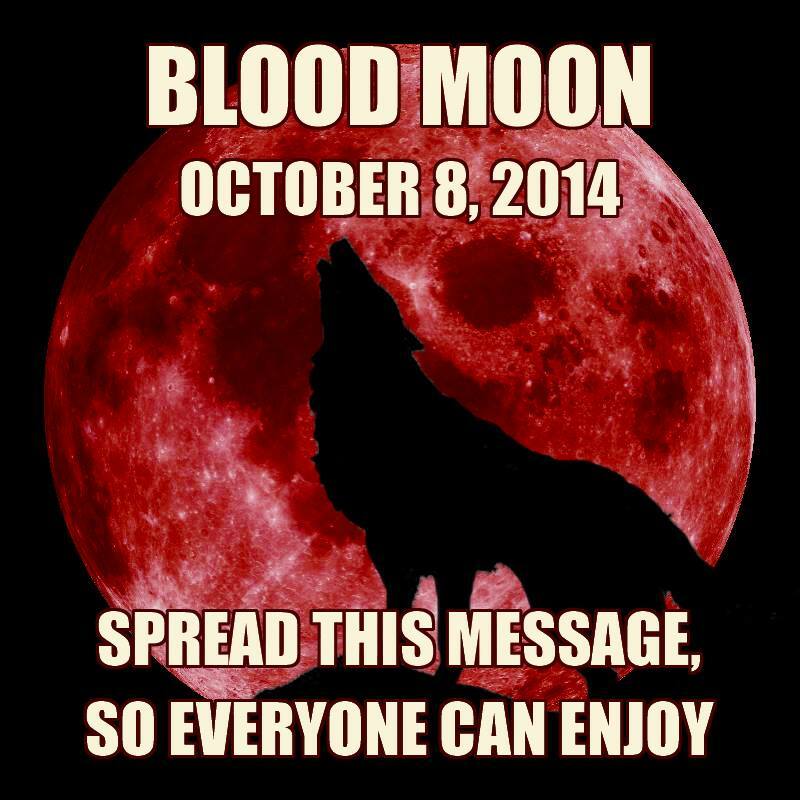 Prophesies say a blood moon signifies the end of days. Allow this in your life to be truth. Let this indeed be an end of days of living in denial of the great changes that are now here on earth. By coming together in community and heartfelt ceremony we can exact a great change for the better planetary good and for us as a tribe and for us as individuals. It is rare that there is so much cosmic activity in our galaxy. It is a perfect time, if not a vital time, to renew our practices and be clear in our friendships and relationship, artistic endeavors and in commerce. We all lie to ourselves of our own truth. With the strength of this moon cycle commit yourself to your full on truth, no stops, no fear and no blame. Create your truth now and live it. – Create your community. Be good to each other. And do not look outside yourself for the leader. Now as you emerge you are clean and beginning a new cycle and the energy is available to make and feel great change for the better in your life and the life of the ones around you. The benefit is to come into gratitude for all that you have and all that you have done. By taking this stance the fear and anxiety that can be triggered now will be converted into an energetic force for personal and world change. It is the time to join in community moving toward a place of working with each other for the greater good, the positive side of all that is coming toward you. And what is coming is big. These days in October are the most transformational times we have known in many centuries. That is why we are feeling the urgency to complete tasks, bond friendships and to release all relationships and situations, whether in your personal, business or emotional lives that do not nurture your heart. These are times of cleansing of the emotional body which gives way to the realignment in of body, mind and spirit. Please note I will not be doing any horoscopes for the next 2 weeks, as I’m away on holiday in Orlando for a week from 15.9.2014 for my son’s wedding there. Not a great deal of planetary movement this week, although on Sunday Mars does move into enthusiastic, positive Sagittarius. The Sun is now halfway through methodical, meticulous, fussy, scrupulous Virgo, with a very detailed and perfectionist outlook. The Moon starts the week in emotional, responsive, sensitive Pisces, with a Full Moon Tuesday, making us prone to possible over-reactions. On Wednesday it moves into active, excitable, impulsive Aries. On Saturday it moves into defensive, possessive, security conscious Taurus, finishing the week there. Mercury is now settled in diplomatic, peace-loving, harmonious Libra, causing some indecision at times. Venus is now settled in idealistic, reticent, picky, curious Virgo. Mars remains in irrational, jealous, over-reactive, Scorpio, just until Saturday, when it moves into challenging, extrovert, outspoken Sagittarius. 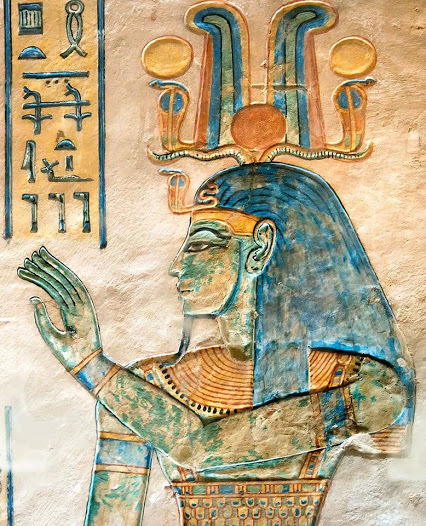 Pluto remains in Capricorn for quite a few years, so is a very long term influence, showing knowledge gradually acquired on deeper levels, with balance, & realistic ways of recycling & developing our intuitive knowledge further, to use practically. Pluto travels Retrograde until late September, with a relentless search for inner truth, furthering our self knowledge approached the right way. Sun still sextile to Saturn – Depth of understanding and awareness of limitations. 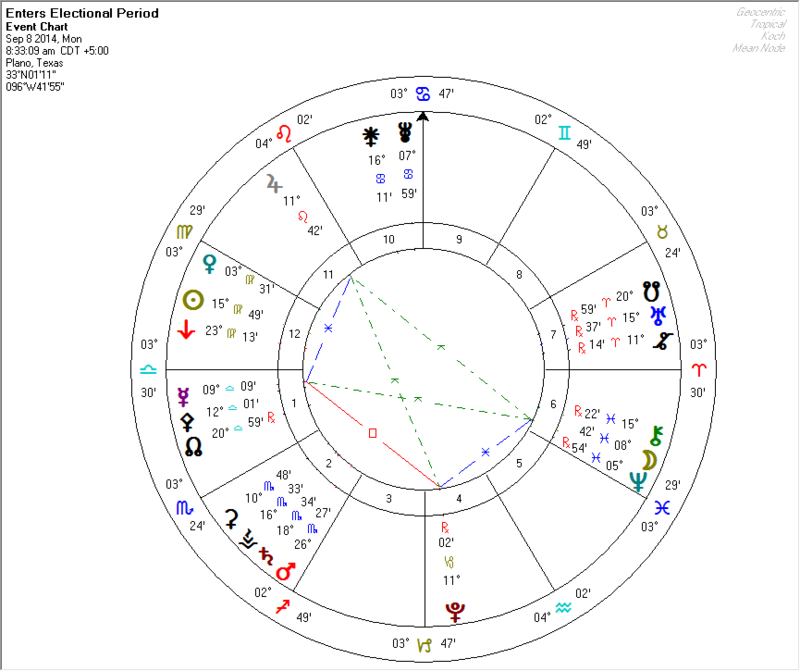 Sun continues in trine to Pluto – Good concentration enables talents to be utilized to achieve goals. Sun remains inconjunct to Uranus – Dislike of intrusion into personal privacy. Sun opposite Moon Tuesday – Inconsistent energy levels and moods. Sun trine Moon Saturday – Natural reactions to circumstances encourage success. Moon conjunct Neptune Monday and Tuesday – A very imaginative, but overly sensitive attitude. Moon opposite Venus Monday – Conflict may arise in some relationships, despite the approach taken. 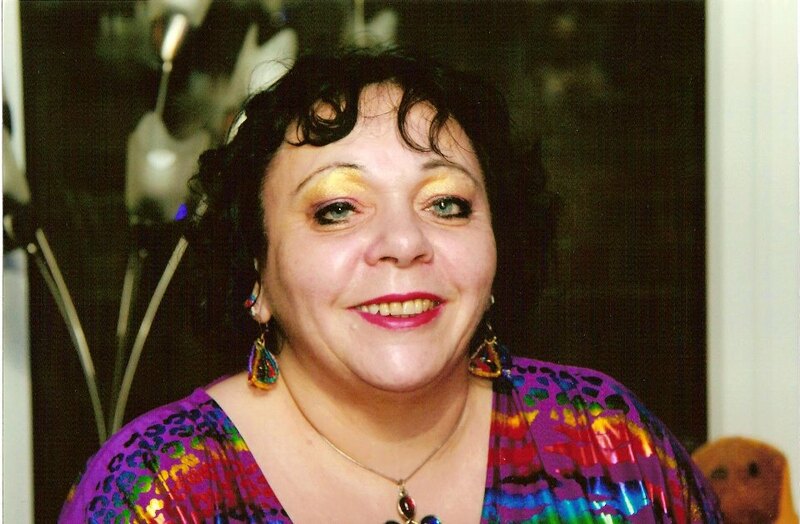 Moon sextile Pluto Tuesday – Great enjoyment of personal contact with others. Moon trine Saturn Tuesday – A prudent, sensible approach to people and situations. Moon opposite Mercury Wednesday and Thursday – Possible difficulty balancing reason and emotions. Moon trine Jupiter Thursday – More confidence and a magnanimous approach. Moon square Pluto Thursday – Intense emotions can cause relationship issues. Moon sextile Neptune Saturday – Keen emotional understanding enables empathy with others. Moon square Jupiter Saturday – Snap judgments and possibly irresponsible decisions are likely. Moon trine Pluto Saturday – Any problems arising are handled positively. Moon opposite Saturn Saturday – Being overly negative can restrict spontaneous ideas. Mercury sextile Jupiter – Deeper intuition and understanding of abstract ideas. Mercury square Pluto – A realistic view of people and situations, but possibly a blunt manner of speaking. Mercury inconjunct Neptune – Possible tendencies to feel overly responsible for other people’s issues. Mercury opposite Uranus – Probable eccentric views and manner of communication, that may cause some confusion. Venus sextile Saturn from Wednesday – Care and loyalty shown to loved ones and friends. Venus trine Pluto – Intense emotions and a need for higher values in relationships. Venus opposite Neptune till Friday – Emotional matters more affected by external issues. Venus inconjunct Uranus – Tendencies to neglect personal desires to assist others. Mars and Saturn conjunct Monday and Tuesday – Constructive use of mental and physical energy, helps us attain goals. Mars square Neptune from Sunday – Natural tendencies for self assertion can cause confusion. Jupiter remains square to Saturn – Problems with self esteem can create a lack of confidence in some situations. Jupiter still trine Uranus – A more original, creative, determined and practical approach. Jupiter remains inconjunct to Neptune and Pluto – Uranus square Pluto long term, at least till the end of the year – A need for freedom and independence, and rebellion against interactions that are too close for comfort. Neptune and Pluto sextile ongoing long term – A need for positive reactions to circumstances and general changes that occur within society. You’re working hard, maybe taking on colleagues tasks. You seek honest communication & deeper understanding with a partner. You’re diplomatic needing harmonious relations with your workmates. You’re private, & maybe obsessive, also great company & purposeful, but can become easily upset. You’re original, contemplative & erratic &, focusing on career progress. You’re sociable & outgoing, enjoying personal interests. You’re methodical & detailed at work, but easily stressed too. You’re engaging, relaxed & fun loving, enjoying mixing with others. You may disagree or quarrel with your partner, but support them too, & feel happiest at home. You’re deeply intuitive, may view some friends idealistically, or have inflexible views. You’re happily involved in domestic & family matters. You win people over with charismatic communication, winning support. You’re affectionate & very caring to your loved ones. You’re focused & hard working, & enjoy improving your knowledge, but may ignore some health problems. You’re idealistic & ambitious, but can become emotional & obsessive. You’re talkative, & responsive, needing involvement with others. You focus on matters relating to your home & relatives. You’re very sociable & enjoy mixing with intellectual people. You feel demanding, passionate, & very impatient, you enjoy investing money, & are innovative. You’re professional & original, but naive, & may try to manipulate your partner. You’re considering long term investments, or expenditure. You keep in touch with others, but are here, there & everywhere. You’re maybe prone to more impulse spending than usual. You want to take control of home issues, & whilst you inspire people, you may feel unsure at times. You seek mental stimuli, having many ideas, but should investigate health issues. You’re detailed, organized, diplomatic & can achieve your goals. You’re also able to snap up some great bargains. You’re charming & popular, winning people over. You speak your mind abruptly & openly, & can be self sacrificing but are also private & reliable. You may argue about money with a partner, & seem somewhat evasive, but can be very passionate too. You’re secretive, maybe prone to irrational worrying. Your enthusiastic, diplomatic & articulate approach motivates others. You’re overly emotional & may feel overwhelmed. You’re driven & successful, inspiring your friends, but may not have much money. You abhor partnership restrictions, or feeling limited, need to watch your health, & can be somewhat changeable. You’re busy socialising & meeting up with your pals. At times your feelings & mind clash, causing inner conflict. You’re caring, thoughtful & feel close to your friends. You’re competitive, extremely strong-willed, ambitious & driven, but may lack confidence deep down. You’re innovative, with an original outlook, very imaginative, & detailed, but quite private. You’re very professional, taking steps for career success. You enjoy catching up with your close friends & socialising more. You’re extremely busy, ambitious & responsible. You’re thoughtful compassionate & private, but also positive & introspective. You’re extremely imaginative, with a rather hectic home life, but you’re quite competent & financially astute. You’re drawn to faraway places & people from different cultures. You’re methodical, responsible & professional. You’re gradually broadening your horizons. You may feel more drawn to challenging friends, are business-like, & enjoy socialising & seeing more of your friends. Family life may be erratic, you’re vague, & enigmatic, & have great potential. You’re extremely passionate, maybe obsessive & very intuitive. You’re intrigued by improving your knowledge. You’re very emotional with quite intense desires. You’re ambitious, driven & focused, feel happier with a mate, & are reliable & responsible. You’re very imaginative, but financially limited, you’re focused on goals, but rather secretive & tense. You’re enjoying companionship & a close bond with a partner. 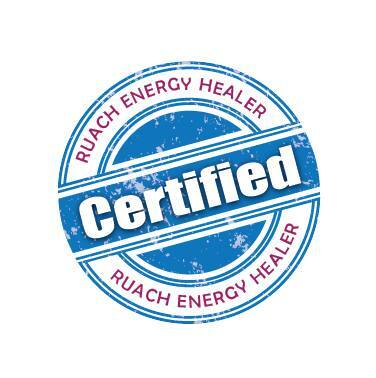 You deal positively with business & joint financial matters. You’re seeking closer involvement with a mate. You’re adventurous enterprising, & quite innovative, but dislike unplanned changes. You’re financially somewhat erratic, can be self deceptive at times & maybe mixing with more challenging friends. As much as possible, I try to stick to the technical aspects of astrology on this blog. That means I avoid editorials. But, tonight, I am compelled to write an editorial. I believe that we (collectively and individually) stand at a critically important fork in the road. It began in August and will continue at least through the end of September. (Actually, it is a much larger period.) I call this period the “Grand Yod of 2014.” What makes it “grand” is the involvement of outer planets, namely Jupiter, Neptune, and Pluto. 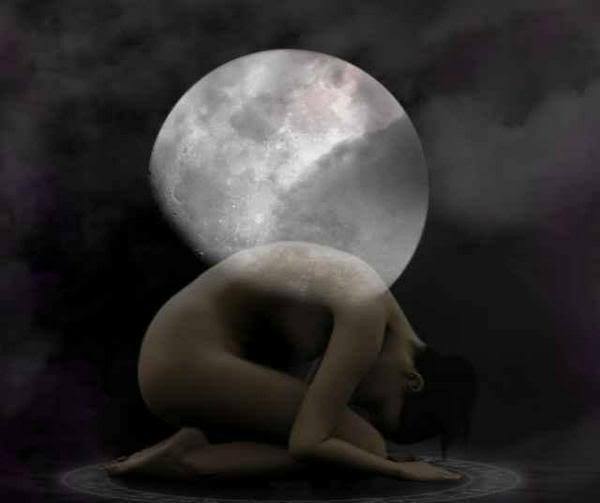 For some, the Full Moon of Monday September the 8th will be a particularly intense point. The moon moved into watery Pisces at 8:55am Eastern today. With the sun in Leo it creates a combination that’s good for connecting to your spiritual gifts and tuning into how you can apply them in your leadership. Pisces is caring and compassionate. It seeks to assist the collective. It’s the soul of the artist and poet. It dreams its creations into being. Pisces can help you tap into the realm of imagination and call the deepest desires of your heart into form. How can my life and business help more people? How do I connect my financial and spiritual life on a deeper level ? Who can I become that will assist the world? The moon will appear 40% bigger and will be the largest Supermoon of the year. For the Northern Hemisphere we will also be treated to three nights of the Perseids Meteor shower. Pre-dawn hours are the best times for observing, although it will be likely the Supermoon’s bright light may obscure the shower. A Blood Moon is when the Earth comes between the Sun and the Moon, and when the Sun shines through the Earth’s atmosphere, it projects a reddish glow on the Moon. there was a prophecy relating a series of Blood Moons to the manifesting of the Golden Age. And in the Book of Revelation it says that during the Great Tribulation “the moon will become like blood” (that explains the blood references). It appears Blood Moons, though, aren’t that rare. HOWEVER, when they appear in a series back to back, like they are right now, well those have only occurred a handful of times in the last 500 years. Columbus reached America during one; Israel was born on one, too; and, for the first time in 2000 years, Jerusalem and the state of Israel were reunited into another after a 6 year war. The Full Moon of The Guru is the most important night of the year to accelerate your Spiritual Evolution, and Experience Miracles. 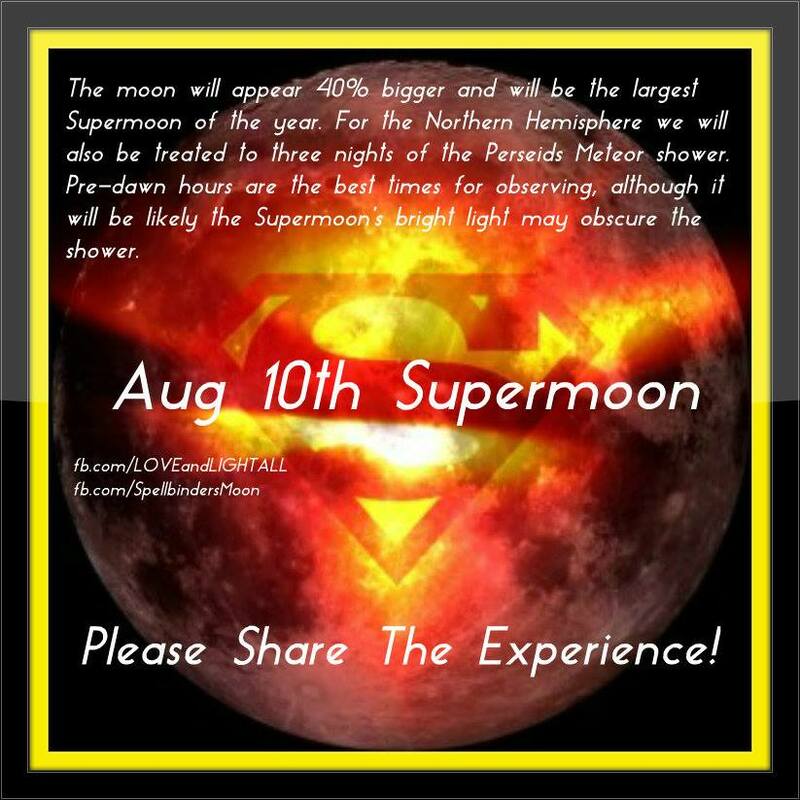 Prepare now … DON’T MISS THE MOST POWERFUL FULL MOON OF 2014!